At first glance, Medicare may feel like an overwhelming and confusing subject. 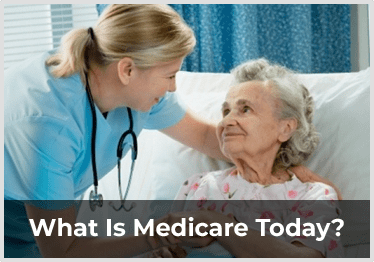 But with a little explanation, it can be fairly straightforward to understand how Medicare works and then be able to navigate the Medicare system to make it work best for you and your personal situation. 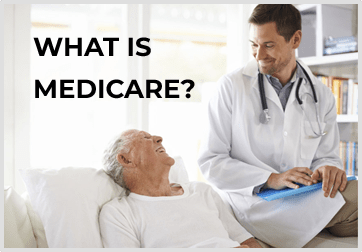 In this article, we will give an in-depth explanation of Medicare, how it works, the options available to you, and the best ways to supplement your Medicare coverage. Medicare can be an extremely useful resource and with the right knowledge and understanding, you can maximize its benefits in your life. We will start with the basics and then show you ways to expand and enhance your coverage. Knowing all the appropriate information will allow you to make the best decisions in using Medicare to meet your healthcare needs. First, at its heart, Medicare is a type of health insurance. It is a government program provided by the United States federal government that gives health care coverage (health insurance) for all people over age 65, or for those under 65 that receive Social Security Disability Insurance (SSDI) or those that have end-stage renal disease (ERSD). Traditionally, all of these groups would have a hard time finding adequate health insurance coverage at a reasonable price in the private insurance sector. Their age, their disabilities, or their illnesses, make them more difficult to insure. To solve this problem and make health insurance available to these groups, the federal government set up the Medicare program. It is funded in part by Social Security and Medicare taxes which you pay on your income throughout your career, in part by premiums paid by those using Medicare, and in part by the federal budget. Medicare originated in 1965 as a part of the Social Security Act. It was designed as a social safety net to protect citizens over the age of 65 or those younger than that with specific health conditions, like end-stage renal disease or for organ transplants. It was created so that these groups could still find affordable health care coverage and not be financially burdened by enormous or overwhelming healthcare costs. Since 1965, Medicare has gone through many changes and amendments giving us the program we have today. 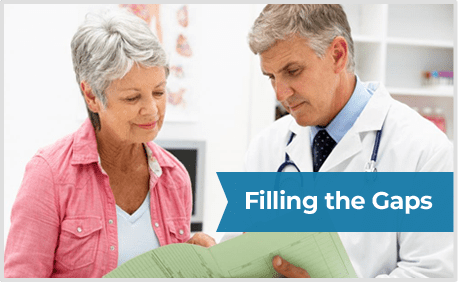 Today, there are plenty of options for patients to choose from when designing and setting up their Medicare plan. Medicare Advantage Plan, which is a type of private insurance offered by companies that contract with the federal government to provide healthcare coverage. Once you meet the eligibility requirements for receiving Medicare, you can choose which way you would like to receive your Medicare benefits. As you make this decision, it is important to understand your options completely, and then choose your coverage carefully. How you choose to receive your benefits—either through Original Medicare or through an Advantage plan—will affect your out-of-pocket costs and will determine where you can go to receive care. For example, with Original Medicare, you are covered to go to nearly all doctors and hospitals in the country. Medicare Advantage Plans, on the other hand, generally have network restrictions, meaning that you will be limited in the doctors and hospitals you can use, as determined by your individual insurance plan. Let’s talk about each option in more detail. 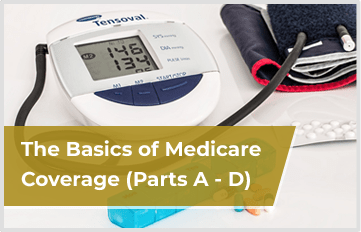 Before we begin, it’s important to understand that Medicare coverage is divided into parts A-D. Each part covers a different area of your healthcare costs. If you choose Original Medicare and want to have Medicare prescription drug coverage (Part D), which covers outpatient prescriptions, you will need to actively choose and join a stand-alone Medicare private drug plan (PDP). We will talk more about this later. Note that if you enroll in a Medicare Advantage Plan, you are still receiving Medicare, it just has more restrictions on where you can go for care and your plan will be facilitated by an insurance company rather than the federal government. Also, if you have health coverage from a union or employer when you become eligible for Medicare, they will often automatically enroll you in their sponsored Advantage Plan. Be aware that you always have the option to stay with this plan or switch to Original Medicare, or even enroll in a different Advantage Plan. Additionally, it’s important to note that Medicare Advantage Plans vary from state to state and from insurer to insurer. We will cover this in more detail later, but it’s good to understand that there can be quite a few differences in Advantage plans depending on where you live. Healthcare costs under Medicare are divided into parts A-D and there are supplemental plans provided by 47 states that other cover additional services. While we won’t get into all those various supplemental plan details in this article, it will be helpful to have a basic understanding of parts A-D.
Part A is the portion of Medicare that covers hospitalization and inpatient care. It is covered by both Original Medicare and in Advantage plans with limitations, and is designed specifically to cover hospital costs. Consequently, it pays for hospital bills and costs related to hospital care including medical care in a skilled nursing facility or nursing home. It will also cover hospice care and home health services. Any type of inpatient care would fall under the coverage provided by Part A, including inpatient medical supplies and prescription drugs. If you are homebound it will cover physical or occupational therapy, and it also provides for doctors, medication and grief counseling for terminally ill patients. While Medicare Part A covers many hospital-related services, it doesn’t cover everything. Whenever a patient needs a service which may not be covered, providers are required to inform the patient of this and have them sign a release prior to receiving treatment. This allows the patient to choose whether to pay for the service out-of-pocket or refuse the care. If Medicare doesn’t cover enough of the expense, do research to find out why. Talk to your doctors and other healthcare providers. There may be an alternative treatment that is covered or you may be able to file an appeal for the medical care you need. The main reason medical expenses may not be covered is that they may not be deemed “medically necessary.” For example, Medicare does not usually cover custodial care in a skilled nursing facility, which is help with activities like bathing eating, and getting dressed. These services would only be covered if you were in the nursing home for medical treatment. Medicare Part B covers two things: Preventive services and medically necessary outpatient services. 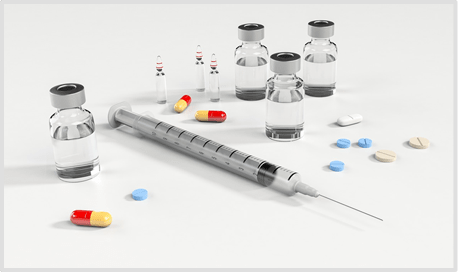 Medically necessary services include all the medical care required to diagnose and treat your medical conditions, including doctor visits, lab work, tests, and medical equipment or devices. Preventive services refer to medical care received in order to prevent illness, like the flu, or healthcare services undergone for early detection, like screenings and routine physicals. Your coverage for medically necessary services will depend on the Medicare option you choose, but Part B generally covers all preventive services regardless of the plan, but you should always confirm this with your insurance provider. Specifically, Part B also covers ambulance services, durable medical equipment (DME), outpatient mental health services, second opinions on medical advice, and even a very limited amount of prescription drugs. As confusing as it may be, Part C simply refers to Medicare Advantage Plans. We have already explained that Advantage Plans are required by law to cover Parts A and B of Medicare. Part C plans, then, cover the same things as Original Medicare (Part A and B), but Part C plans often have less expensive premiums because the plans have restrictions about where you can receive your medical care and there can be limitations on the type of illnesses covered as well. Part C plans are run by private insurance companies that contract with the federal government to provide the services. Many times, Part C plans will also include basic dental and vision coverage. Additionally, most Part C or Medicare Advantage Plans also include Part D coverage as part of their Medicare package. In 2003, Congress passed the U.S. Medicare Prescription Drug, Improvement, and Modernization Act. This act was designed to modernize the Medicare program by adding a prescription drug component to better meet the needs of its patients. It was also known as the Medicare Modernization Act. From this act we got Part D of the Medicare plan. Part D gives prescription drug coverage to patients and is only available through private insurance parties. Individuals can join a standalone Prescription Drug Plan (PDP) if they have chosen Original Medicare or they can sign up for a Medicare Advantage Plan (Part C) in which Part D is included. You are only eligible to add Part D coverage if you have signed up for benefits under Parts A or B. Each insurance company will provide a list of approved prescription drugs covered under their plans. Therefore, when you select your plan it is important to know what your current prescriptions are and cross reference that list with available Part D plans, making sure that the supplement plan covers everything you need. Part D only covers a certain number of drugs and new drugs are researched, developed, and manufactured every day. It can take some time for these drugs to get on the Part D lists. The drugs are arranged in tiers. So, when you need a top-tier drug, which is often a new or very expensive medicine,it will often increase your premium, which may already be high. Carefully evaluate if a Part D plan is valuable to you and which one will be most effective and makes the most sense financially, given your current health and prescription needs. We suggest that you always work out your strategy with an insurance agent, to help you understand your options completely. Let’s say that you are eligible for Medicare, but you want to pay less for your premiums than is charged for Original Medicare, which covers Parts A and B. You decide to shop around and find an insurance company that offers a suitable and affordable Medicare Advantage Plan (Part C), which will cover your healthcare insurance needs. That company already has a contract in place with the federal government to provide Medicare coverage Parts A and B but with certain limitations. This allows them to offer the plan at a reduced premium. When you opt for their Part C plan, you will now pay them your monthly premium and they will cover your claims and medical expenses in place of the federal government. When you are working out your Part C Medicare Advantage Plan, you will deal directly with an insurance company, not with the government. Most importantly, your Part C plan will also include Medicare Part D, which provides for your prescription drug coverage. 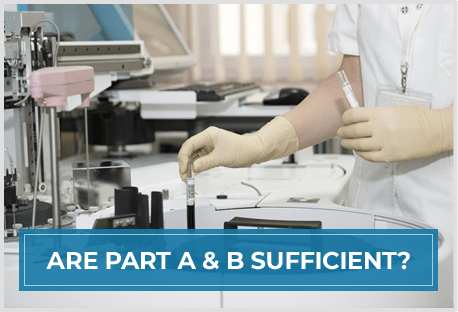 Are Part A & B Sufficient? Medicare Parts A and B complement each other to provide basic healthcare coverage for average citizens. It’s important to understand that Medicare covers 80% of medical expenses and patients are responsible for the rest. The medical conditions that Medicare covers is a result of federal, state, and local laws and regulations and are subject to change. If you find that Parts A and B leave some gaps in your healthcare insurance coverage, there are variety of ways to fill these and get help with your medical costs. The first two ways to cover gaps in coverage we have already talked about, with Medicare Parts C and D.
As we have already said, many Part C Medicare Advantage Plans offer additional benefits like vision and dental benefits and do it at a lower premium than Original Medicare as well as provide prescription drug coverage. Adding Part D to Original Medicare allows you to fill missing prescription drug benefits not available on Parts A and B. Keep in mind that if you don’t sign up for Part D when you first become eligible, you may incur a premium penalty when you try to sign up later. Additionally, if you or your spouse is still working when you become eligible for Medicare, you may have insurance through an employer. You can use this insurance in conjunction with your Medicare benefits and set it up so that you have a primary and secondary insurance. Some employers even continue to provide health insurance to retirees and their spouses to cover the gaps of Medicare. If this is the case, understand that retiree insurance always pays secondary to Medicare. If you are a veteran and qualify for VA benefits, the healthcare services and prescription drugs that you receive through the VA may be the cheapest way to receive healthcare benefits. The VA may also cover services that Medicare will not. But be aware that VA benefits do not work with Medicare, and if you receive care outside of a VA facility you might need Medicare. Medicare will not pay for any care you receive at a VA facility. Finally, to help cover gaps in Medicare Parts A and B, there is supplemental insurance offered by most states known as Medigap. In exchange for an additional premium, a Medigap policy provides additional insurance options through private insurance companies to help fill the gaps in Original Medicare. Recognizing that Medicare doesn’t cover certain services (and even when it provides coverage patients are left paying 20% of the bill themselves), private companies created Medigap to make up this difference. The government agreed to the creation of these supplemental plans under the stipulation that insurance companies offer ten different plans that had to meet specific governmental requirements. The supplemental coverage available varies from state to state, but depending on where you live, you have up to 10 different Medigap plans to choose from: A, B, C, D, F, G, K, L, M, and N.
Note that the plans in Wisconsin, Massachusetts, and Minnesota go by different names. Each type of Medigap policy offers a different set of benefits and you can find one that best meets your needs. Of course, premiums vary, depending on the plan you choose and the company you buy it from. Imagine that you have Medicare Parts A, B, and D. This means you are covered for hospital visits and stays, emergencies, doctor visits, lab work and preventive care, plus you have a list of drugs that are covered. However, keep in mind that you still have to pay deductibles, and 20% of all your medical services, as well as any services that aren’t covered. Now imagine that you need to have surgery on your hip. One Washington Post article claims that a hip replacement surgery can cost anywhere between $10,000 and $125,000. If you end up paying 20% of those costs, you will need to come up with $2,000-$25,000 out-of-pocket, just for the surgery. You will then still have to pay for a hospital stay, doctor fees, and possible rehabilitation and therapy. Even with Medicare, the bill is going to add up quickly. But if you have a Medigap policy in addition to Parts A, B and D, it will help alleviate many of these out-of-pocket expenses. In order to have adequate coverage for your healthcare needs it is likely that you will need to either choose a Medigap policy or a Medicare Advantage Plan, as Original Medicare usually leaves too many gaps in coverage. It’s important to note that you must already be enrolled in Original Medicare in order to use a Medigap plan. Most people opt for Plan F, which usually covers all deductibles and expenses, even those that occur abroad. And even though the premium is high, it can still be worthwhile for many senior citizens. Another significant benefit of Medigap is flexibility and options. You can shop around and find a policy with optimal coverage for your needs. 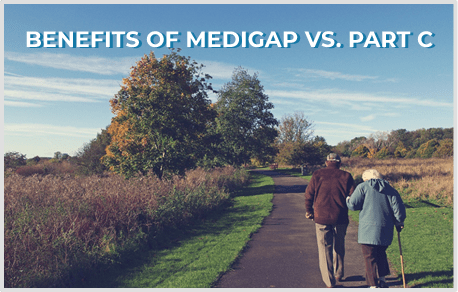 Generally speaking, Medigap premiums are often higher than Medicare Advantage premiums. However, under Medigap policies you receive broader coverage, and you eliminate co-pays. Alternatively, many people choose to skip ABD + Medigap and simply opt for a Medicare Advantage Health Plan instead. Why? Most Medicare Advantage plans include A, B, and D and cost less than ABD + Medigap. Also, Part C insurance is often more flexible and can include services that would otherwise be unavailable. Most importantly, with Part C plans your out-of-pocket expenses are covered after you pay your co-pay. Most plans include a limit to the amount of money you spend as a co-payment. These plans also provide lots of flexibility, allowing you to build a plan that is right for you. Remember though that Medicare Advantage plans require you to stay in one network and it is possible that they won’t cover healthcare expenses that occur outside the prescribed network. Selecting between these two options is not easy. It can be helpful to talk with an independent insurance agent about your particular situation and needs. They can help you sort through the variety of options to give you the right amount of coverage for the lowest premium. Their knowledge and experience can be very valuable as you evaluate your decision. Working with an insurance agent can help you make an educated decision as you choose your Medicare coverage. First, let’s talk a little bit about the different kinds of insurance agents and what each one has to offer you. We’ll start by explaining the difference between captive and independent insurance agents. Captive agents work for one insurance company only. This means that they are experts about the company they represent and the products and services they provide. But because they work for one company, they are loyal to that particular company’s insurance products and so they will sell you a policy from their company, even if they know there may be a cheaper policy available elsewhere. On the other hand, if you have already researched and figured out which insurance company you want to sign a contract with, then you could choose to go with a captive agent. Independent agents represent many different insurance companies that don’t use captive agents to sell their products. 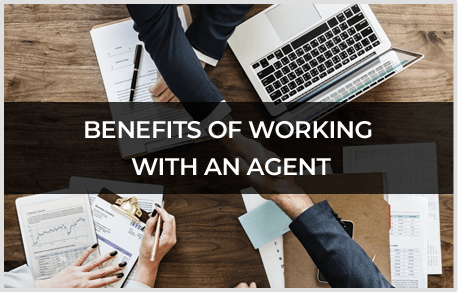 Because independent agents are not tied to one company they can work with a variety of companies and comparison shop to get the best deal for their clients. How to Find the Best Broker? 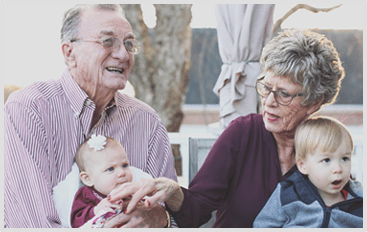 In order to find the optimal Medicare plan that will meet your needs and protect you financially, you need to find the best insurance broker you can. A qualified, caring insurance broker will work hard to reduce your premiums while getting you the most coverage available. If you have a broker you can trust, your chances of finding the best healthcare insurance policy for your needs and your budget increase dramatically. To find the best broker, it’s important to keep a few things in mind. First, you should make sure that the broker is licensed and registered in your state to sell insurance. You can also check their credibility and ratings online or call your state insurance commissioner’s office. Ask for references and read reviews from other clients. Be sure to find a broker that specializes in health insurance, particularly Medicare insurance. As we have shown, you have a lot of options when it comes to Medicare coverage and you need a broker that understands the industry and the program well. If your broker is an expert in Medicare coverage, it will give you so many advantages as you make decisions and weigh your options. Make sure that the insurance broker is familiar with Medicare laws and regulations and understands any recent changes to the program. The more knowledge and experience they have, the more they can assist and guide you as you navigate the program and choose the right policy parameters for you. Through this article, we have tried to give you an accurate understanding of the Medicare program and its various coverage options. As confusing or as complicated as it might appear at first, you can see that the right knowledge will allow you to make better decisions in selecting your plan. It is recommended that seniors compliment their Original Medicare Plan with either a supplemental Medigap policy or choose a Part C, Medicare Advantage Plan instead. This recommendation is given for both health and financial reasons. These plans will give you the best healthcare coverage and, more importantly, fill the gaps of high out-of-pocket costs left with Original Medicare. Don’t turn this into a DIY project unless you understand Medicare thoroughly. You should always educate and inform yourself; there’s no doubt about that. But, it is recommended that you also get an additional professional opinion from a captive or independent insurance agent regarding your healthcare insurance coverage. This can help you get the best deal at the best price and ensure that you don’t miss anything you might need in your coverage. A second set of eyes—expert eyes with years of experience—can be invaluable help as you weigh your options. As you set up your personal Medicare plan, recognize that there are lots of options available which allows you lots of freedom and power to design a plan that works for you. Don’t just settle for a plan that doesn’t quite fit or doesn’t really meet your needs just because the process seems complicated or confusing. As independent insurance brokers, we are here to help you make sense of it all and develop a Medicare plan that really works for you. We have decades of experience and a wealth of knowledge that we can use to create a plan that meets your healthcare needs while accommodating your budget concerns. We are always happy to answer questions, explain information, or find you the best deal available. We are here to make your Medicare plan work for you. Every year, billions of dollars are lost to Medicare fraud, abuse, and mistakes. Those lost funds could have been used for immediate benefits such as reduced health care costs and improve the quality of care. Medicare fraud, abuse, and mistakes can be made by one individual, a business, or even large organized crime rings. © 2019. Medicareinsuranceaz.com All Rights Reserved.